2015 was the year that sports came under attack. Literally. The bombings in Paris were the first time a stadium has ever been subject of terrorism during a game. But it went deeper than that. The Twitter army was stronger than ever: if you didn’t agree that Serena Williams was the greatest female athlete ever, then your mentions were about to blow up with hate. The battlefield extended off the playing field and cyberspace to the courtroom as well, with 2015 bringing us the embarrassment of Deflategate and the relief of FIFA’s overdue takedown. And then there was our perception. This time last year, nobody could have imagined LeBron relinquishing the title of “NBA’s Best,” a 21-year-old channeling Tiger or a practice squad player winning the Super Bowl. What happened to Peyton Manning? The World Series was played between whom? We finally got Mayweather-Pacquiao? I’m glad this is a recap of the year and not a look forward because it’s just impossible to predict. But that’s what’s so fun about sports: they’re constantly in flux, but they never bore. Who knows what these will look like in 2016, and right now, who cares? Sit back, pour yourself a drink and get comfy because it’s that time of year again…Ladies and gentlemen, I present you the 5th annual Joey Awards! Most Outstanding Male Athlete: Stephen Curry, G, Golden State Warriors: In 2015, Steph Curry went from being an All-Star to the greatest shooter and one of the 20-best players in NBA history. 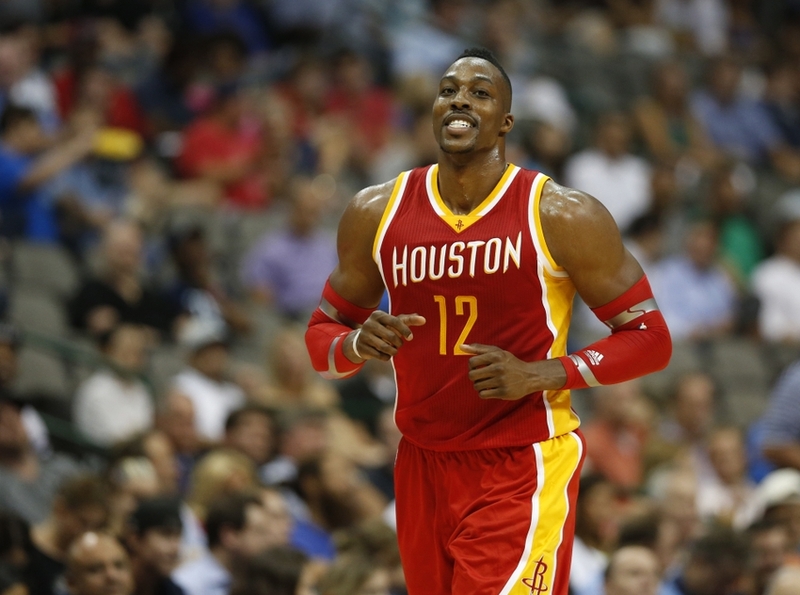 Through 30 games in the 2015-2016 season, his PER is 32.0. Wilt Chamberlin’s 1963 PER is the next best at 31.80. He’s hit 50 more threes than the league’s second highest mark, held by Paul George. And of course, he led his Warriors to a Championship over LeBron and has only lost two games this season. It’s impossible to measure, but Steph has had the biggest impact on kids since Kobe Bryant. If you go to a playground, you won’t see little kids yelling “I’m LeBron!” “I’m KD!” or “Let me be James Harden!” They all shoot threes now, and they all say “I’m Steph!” That’s the difference between a superstar and an icon. It’s the biggest hole in LeBron’s legacy, and it’s the best thing Steph has going for him. The guy is a helluva player, but he’s even more fun to watch. Most Outstanding Female Athlete: Carli Lloyd, F, U.S. Women’s National Team: Sorry Serena, you had your chance at this award, but you blew it. The USWNT was expected to win the World Cup, and they did it. Serena, you should have rolled over Roberta Vinci in the US Open Semifinals, won the Grand Slam and cemented yourself as not just the greatest female athlete ever but one of America’s greatest athletes ever. But you choked. Simple as that. If Serena withered, Carli Lloyd flourished. For her USWNT, anything less than a World Cup championship would have been a failure. She had the tournament of her life, and when the lights were the brightest in that championship game, she had ascended to another level. She netted a hat trick in that game and, yes, it’s typically cliché, but in this case entirely true, she put the entire country on her back. And she did it in only the first sixteen minutes. In what was the most viewed soccer match in American history, people who knew nothing about soccer would have told you that Carli Lloyd was the best player in the world. And that she was. 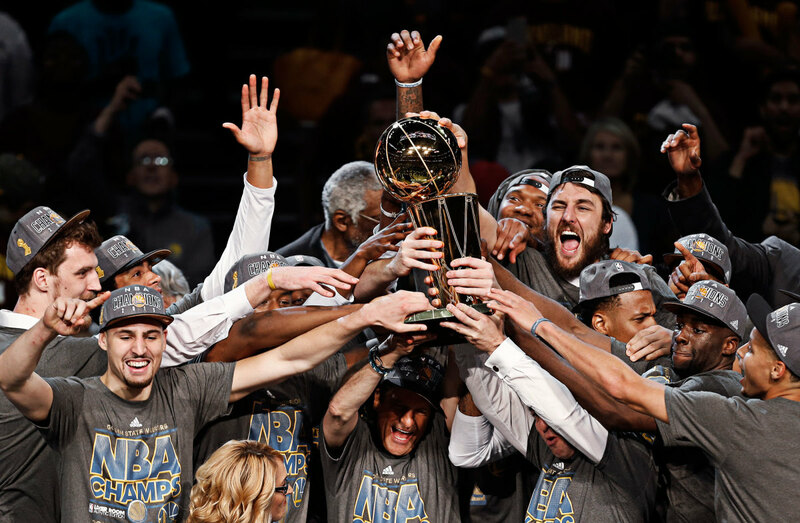 Best Team: Golden State Warriors: They won their first championship in 40 years, then won the first 28 games of the season. They’ve still only lost two games, and it shouldn’t come as much of a surprise: they have the deepest roster in the league which includes the NBA’s MVP, its second-best shooter and its best defender. What’s most impressive, though, is that they’ve changed the NBA. With the exception of the Spurs, who are always doing their own thing, the big man has become extinct in the NBA thanks to Golden State; it’s a shooter’s game now. Nobody has been able to come close to replicating the Warriors’ success, but then again, how could you replicate basketball’s most dominant team in 15 years? Best Game: Super Bowl XLIX: Super Bowl really had everything you could ask for. It featured the two premier teams in the NFL – the Patriots bringing their marquee offense and the Seahawks providing their Legion of Boom. You might have forgotten how the first half ended, with Pete Carrol deciding against a chip shot field goal to call an all-or-nothing pass play. It worked and the game was tied at 14 going into halftime. Then of course, came the second half and the wildest drive in Super Bowl history. With two minutes left, Brady gave the Patriots a 28-24 lead. The Seahawks first play was a 31-yard pass to Marshawn Lynch. The very next play, Russell Wilson threw a bomb Jermaine Kearse streaking down the sideline. At the five yard line, an undrafted rookie cornerback named Malcolm Butler stretched and tipped the ball, only to see it land in Kearse’s hands who tipped it to himself to make a miracle catch on his back. Every Patriots fan in the world had déjà vu, that Kearse’s catch was David Tyree’s all over again. Marshawn Lynch ran the ball to the one-yard-line the very next play, and with the Seahawks about to score the go-ahead touchdown and everybody screaming in his ear, Bill Belichick refused to call a timeout. The clock ran down to 26-seconds, and as you know by now, Pete Carroll called a pass play on the one-yard-line with the best running back in football behind him. Wilson threw a dart to a slanting Ricardo Lockette. Malcolm Butler, that anonymous rookie that had just lost the game two plays prior, forced his way to the ball and made the wildest play of the year. His Patriots won because of him, Tom Brady gave him his Super Bowl MVP truck and the play is still being debated and dissected. Watching the highlights of the second half, I’m still dumbfounded. What a game. 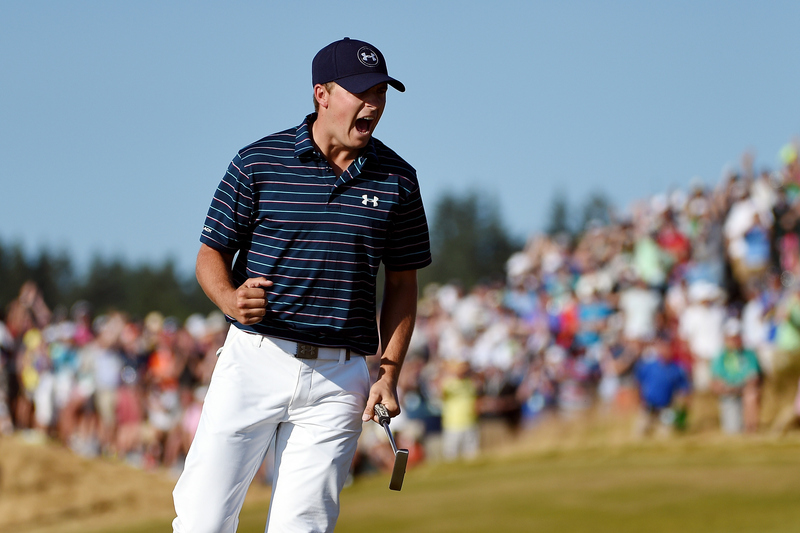 Best Breakthrough Athlete: Jordan Spieth: You know something special is happening when golf becomes must-see TV. That’s what Spieth did this year, and along the way, he won The Masters and the U.S. Open. At 22, he was the youngest U.S. Open Champion since 1923. He finished fourth at the British Open, only missing a playoff by one stroke, and came in second at the PGA Championship, helping him become the top ranked golfer in the world. 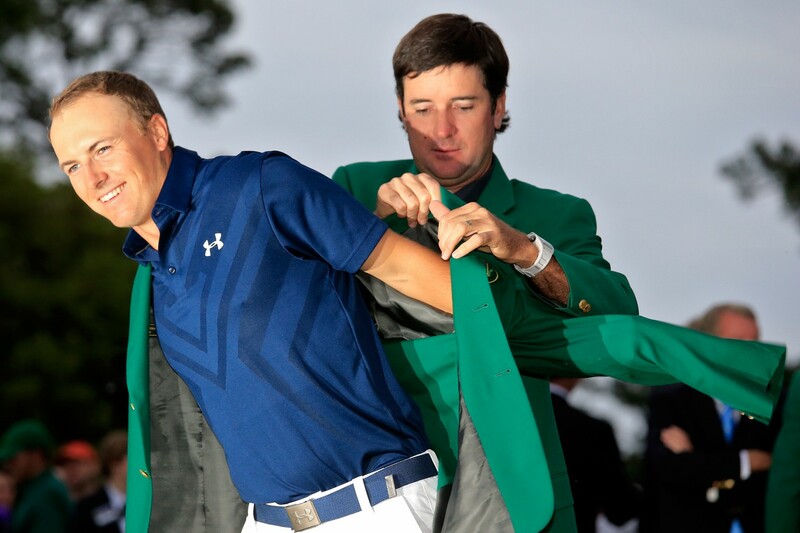 I don’t know what was more exciting about Spieth’s year: the feats he accomplished or the feats he showed he soon will. Most Impressive Performance: Jordan Spieth wins The Masters: I was at my sister’s loud and crowded volleyball tournament when Spieth was shooting Augusta’s back nine on the final day of The Masters. I was hunched over my phone, headphones in, trying to focus and trying to understand what was happening. All week, Spieth was at another level: he shot a 64 on Day 1. By Day 2, he held The Masters’ 36-hole record. Now, in the final round, there was no question whether or not he would win; the question was if he would set a new record. On the 17th hole, he sat at 19-under, but a bogey on 18 lost him the tournament record. Instead, he tied Tiger’s 1997 record score of 18-under. It was the first wire-to-wire win since 1976, and it the first time I’d ever gone out of my way to watch golf. Greatness will do that to you. Worst Play: Gregor Polanco trips to give up a walk-off victory the Chicago Cubs: I mean…the Cubs are haunted but I don’t think Wrigley Field is. Best Moment: Malcolm Butler intercepts Russell Wilson: You can debate the call, but you can’t debate the play. It’s such an amazing story: the nobody that shouldn’t be on the field makes one of the greatest plays in Super Bowl history. That’s the stuff that happens in a sports movie, not real life. I had no rooting interest in the game and had no idea who Malcolm Butler was, but when he broke up that play I got chills. I still get them, even from the replays. I was expecting the fight of the century. We all were. 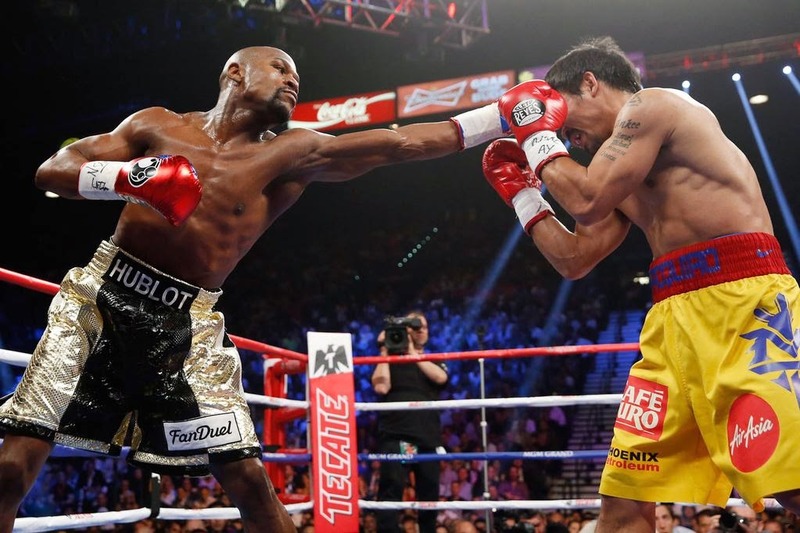 Instead we got an over-the-hill Pacquiao who had no business being in the ring with Floyd. The most exciting part of the fight was the intros, and as each round went on, it became clear we weren’t going to see anything special. This wasn’t the fight of the century; it was the bore of the century. Best Speech: Kirk Cousins, “You like that!”: It’s almost too short to qualify as a speech, but our judges have decided to grant it qualification nonetheless. Why? In just three words, it beautifully captures the complete bliss known as victory. Brash and instinctual, Cousins granted us a glimpse into a competitor’s mind and created a meme in the process. He did the impossible. The Bud Selig Memorial, Oh No! I Might Have Just Ruined My Sport Award: NFL Commissioner, Roger Goodell: This is Goodell’s second time winning this award in as many years. That shouldn’t come as much of a surprise to anyone considering he’s a complete doofus. Last year, it was Ray Rice. This year, it’s Deflategate. Only Goodell could make it his mission to slight his league’s best franchise, only to fail miserably. Only Goodell could have turned a petty rules violation founded on meek evidence into a national story for months and come out as the loser. 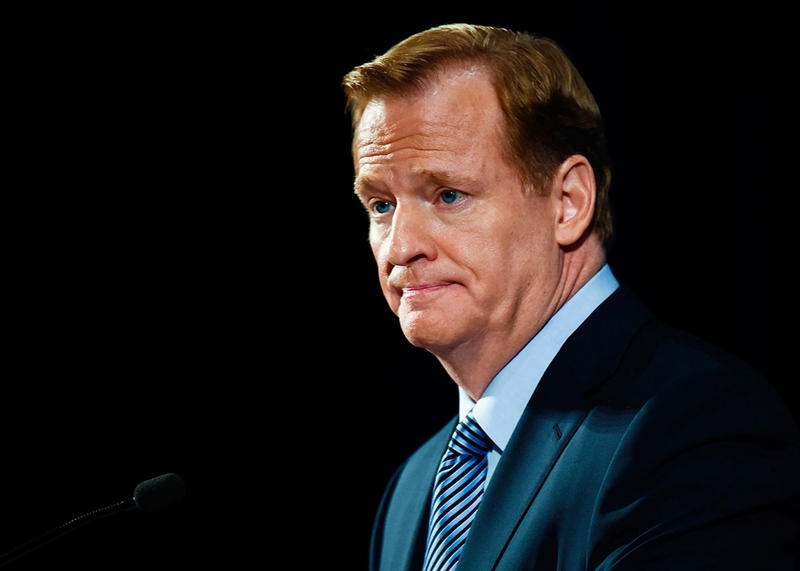 Only Goodell could alienate his biggest supporter just to prove a point. Add all of this to the fact that the sports’ rules are now so dense and confusing that nobody knows what a catch is, and you get a two-time Joey winner. This all goes to say that we just might have to rename this award in Roger Goodell’s honor. Stay tuned. The David Stern Memorial, Holy Cow! I Might Have Just Saved My Sport Award: FIFA President, Sepp Blatter: It’s the biggest shock in Joey history. 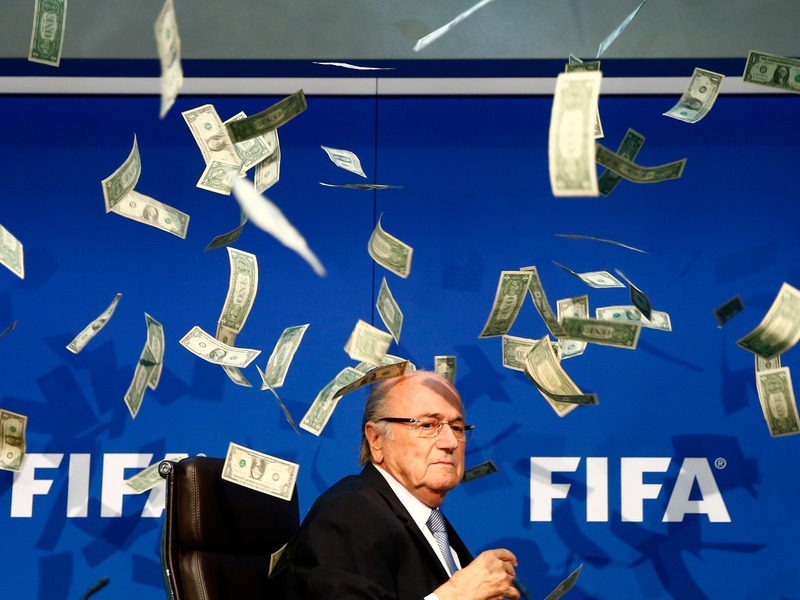 Who could have ever guessed that Blatter would be awarded with one of these prestigious awards? But Blatter’s incompetence ran so deep that he wound up crippling his organization so much that it will either have to A) change radically or B) cease to exist. Best of all, Blatter got himself an eight year ban from soccer. Soccer’s the most popular sport in the world and with this scum pried away, things are looking up still. The Gordie Howe Memorial Old Geezer Excellence Award: “Big Fat” Bartolo Colon, P, New York Mets: This was Peyton’s award to lose. He had the best defense in football behind him and two great receivers to throw to, and instead, he was essentially benched in favor of a giant from Montana, whined on the sideline (only after weeks of whining in a suite) and now has himself in the middle of a HGH scandal. Good year, Peyton. Best of all, the 42-year-old Big Fat Bartolo Colon got himself a brand new, $7 million contract for next year. He deserves every penny. 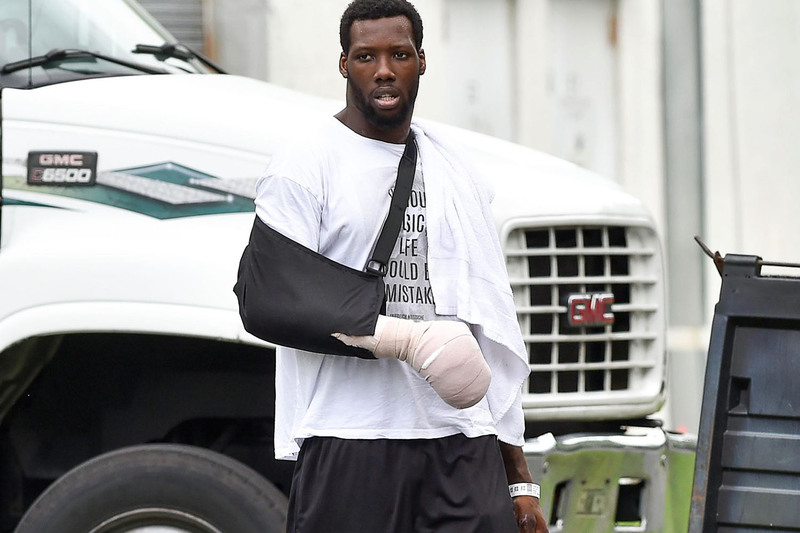 Most Epic Fail: Jason Pierre Paul Firework Accident: Where to start? Look, I love the Fourth of July as much as the next guy, if not more so. And there are few places in the world I love more than a roadside firework tent. I know the number one rule of fireworks is not to blow your hand off, and I know how to avoid it. And I don’t even really need my hand! JPP is a professional athlete. His job is to keep his body in shape. And he blew his hand off. Best Innovation: NHL 3-on-3 Overtime: NHL overtime was already the best. Now, it’s quicker, crazier and even more exciting. 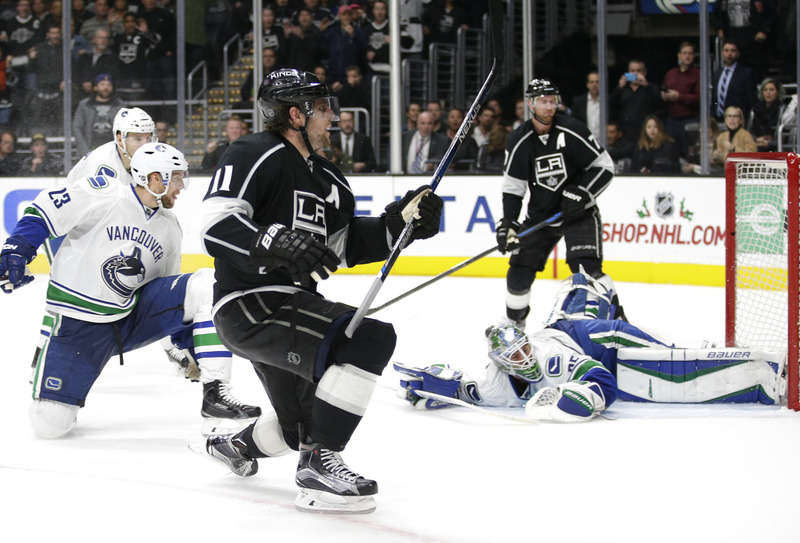 It’s limited the amount of buzzkill shootouts and forced players to get more creative. Oh and it comes with The Great One’s approval. Best NFL Player: Tom Brady, QB, New England Patriots: If the Joey’s only included the 2015-2016 NFL season, this would be Cam Newton’s award, no doubt. But the Joey’s count everything that happened in a calendar year, and Brady is the NFL’s best for 2015. He won a Super Bowl and is en route to another AFC Championship. Not too shabby. 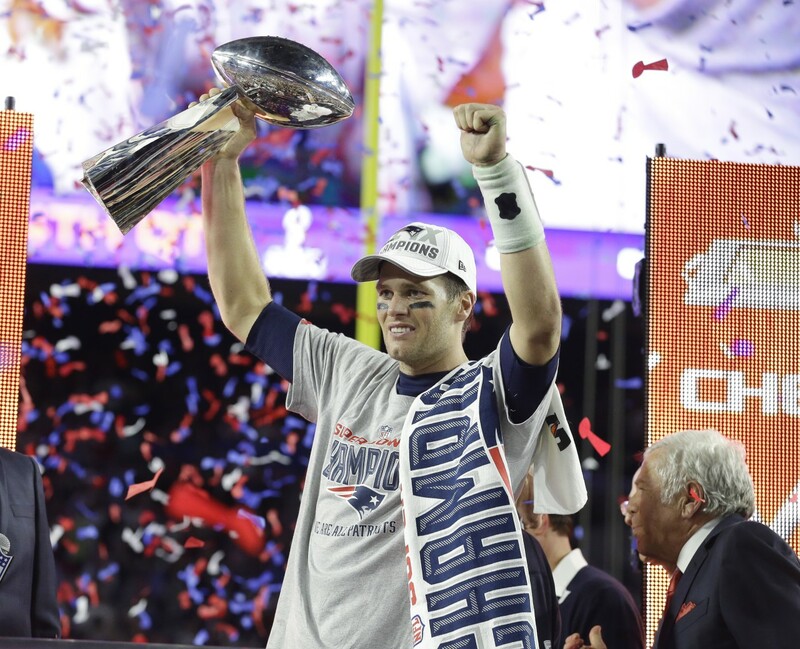 Of course, Brady’s 2015 will always be most remembered for Deflategate, and Brady overcame that as well. All Mr. Brady does is win, and he doesn’t need to dab in your face for you to know it. Best MLB Player: Bryce Harper, OF, Washington Nationals: 2015 was finally the year that we saw the Bryce Harper Sports Illustrated promised when they put him on the cover at 16-years-old. They called him “The Chosen One” and for years, the praise looked like it had gone to his head and that cover was his peak. Then 2015 happened. He started the year off hitting a home run on Opening Day and by the end, he turned in the National League’s best season in decades. He recorded a .330 batting average, league leading 42 home runs and a 1.109 OPS, the highest mark since Albert Pujols in 2008. He’s only 23 and seven years later, Sports Illustrated’s praise seems like it might not have been high enough. It surprises me every year just how much magic sports create, and 2015 was no different. There was a Triple Crown, teams won championships for the first time in decades and women’s’ soccer captivated the country. It was fun, and it was wild, and I can’t wait to be surprised again. Onto 2016, where there’s only one goal on my mind: this is the year. Go Cubs.